Introduced to the Senate on February 10, 2005, Senate Bill 363 (S. 363, the Ballast Water Management Act) proposes to amend the Nonindigenous Aquatic Nuisance Prevention and Control Act of 1990 to establish a national approach for managing invasive species in ballast water. The proposed legislation also includes a declaration that federal ballast water exchange and ballast water treatment standards, implemented by the U.S. Coast Guard, supersede state and local laws deemed inconsistent with federal provisions. Although the amendment allows states to create additional incentives to comply with federal programs, existing state laws that regulate ballast water may be preempted. This could include state laws that impose more stringent ballast standards, as well as any laws that regulate the taking of species during ballasting. The amendment would also supersede any provision of the Clean Water Act that addresses ballast water, although the Act does not currently regulate ballast activities. 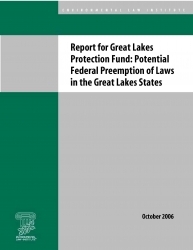 In this report, supported by the Great Lakes Protection Fund, the Environmental Law Institute analyzes existing state authorities that regulate ballast water in the Great Lakes, as well as state laws that address species takes in the context of ballasting, and examines the extent to which relevant state laws and regulations would be affected by S. 363, for both existing state legislation and future state efforts to regulate the introduction of aquatic invasive species. 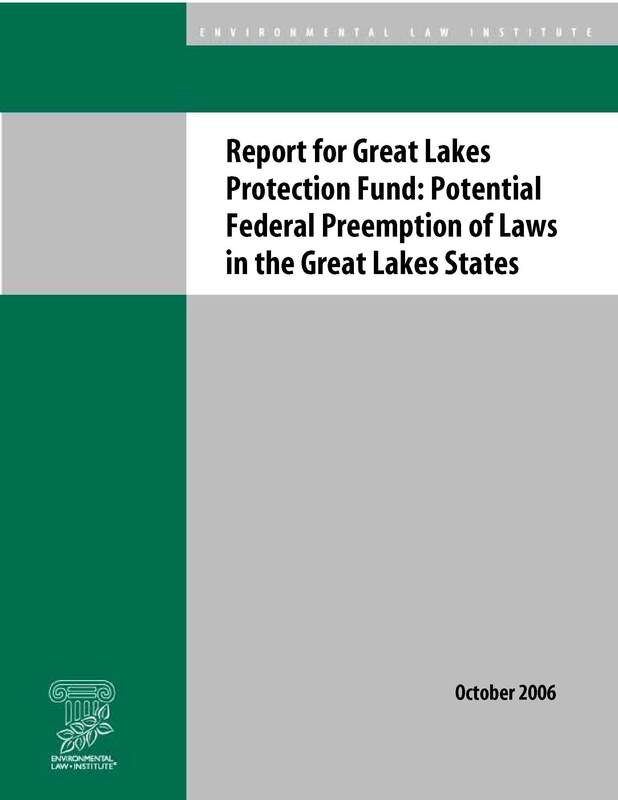 To obtain a copy of the report that includes all of the appendices, please contact Roxanne Thomas at thomas@eli.org.